You may have even been told that if you want something done right you need to do it yourself. You may have also grown up seeing one of your parents or someone within the home fiddling with electronics until they figured out what was wrong. Though such things might have sent the message that it’s okay for you to take care of your own electrical work at home or even in the office, the opposite is true. Electrical work is not for a novice and we’re going to go over why. The first and foremost reason that electrical work is not meant to be done by someone untrained or inexperienced is because electricity is dangerous. We’re not just talking about shocks and burns here. It can kill you! 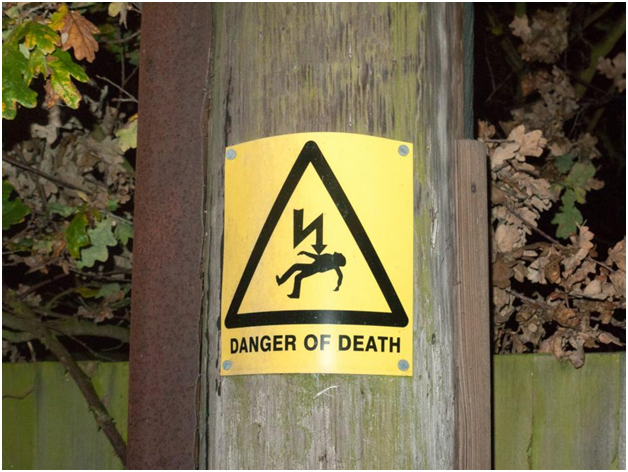 Moreover, it does not take large amounts of electricity to kill you. According to research conducted at the Ohio State University, electricity within the home can also lead to fatalities. In other words; the very electricity that flows in your home circuitry, switchboards, breakers and appliances is more than enough to do significant damage. Even if you feel you are someone who has a degree of understanding about precautions you can take for personal safety it is not enough. Not being trained in and experienced with modern electronic systems and the intricacies of circuitry might result in you starting an electrical fire! Safety is the primary reason why it’s best to leave the electrical work to a trained professional electrician or electrical service team. Due to how we have progressed technologically, it‘s hard to be able to take on any job without training or specializing in it a little first. As we mentioned in the section above, a lack of training could lead to fires and fatal damage. What is important to remember is even if you feel the damage won’t be fatal, the chances that you will make a mistake that blows your circuitry or fries your wiring are still high. This would mean spending more time and more money on fixing something that could have easily been taken care of by someone with proper training. Further, you might just do more damage – the sort you can’t fix and will need to call a professional in any case! Last but not least, as a DIY home electrician, even if you can come up with a quick fix and manage to avoid being electrocuted, burned or starting a fire, you’re not in the clear. There are times when electrical problems can be caused for reasons that are not that obvious. You might know that you’re blowing a fuse once too often. What you won’t know is why or what may be causing the surge. If you hire a trained and experienced electrician, they can offer you solutions that will not just fix the problem at hand but will also prevent future electrical issues. This is something you as a novice will not be able to do and will likely be struggling with quick fixes from one day to the next! Electrical work today is by no means something for the novice. If you’re struggling with electrical problems at home or in the work space, connect with a professional electrician or electrical team right away. This way you avoid being burned, injured, fatally electrocuted or setting the house on fire and ensure that you get the work you need done promptly and in the right way. If you’re located in Cypress Texas and require professional electrical services, we’re happy to help!